My mother and stepfather did the craziest thing in 2009. They bought a vineyard. Or rather, they bought land with the intention of planting a vineyard. I was OPPOSED! They had this awesome house on the beach south of San Francisco and why in the world would they want to move away from the city and farm? I didn’t get it, I didn't want to get it. And then…I fell in love with it. 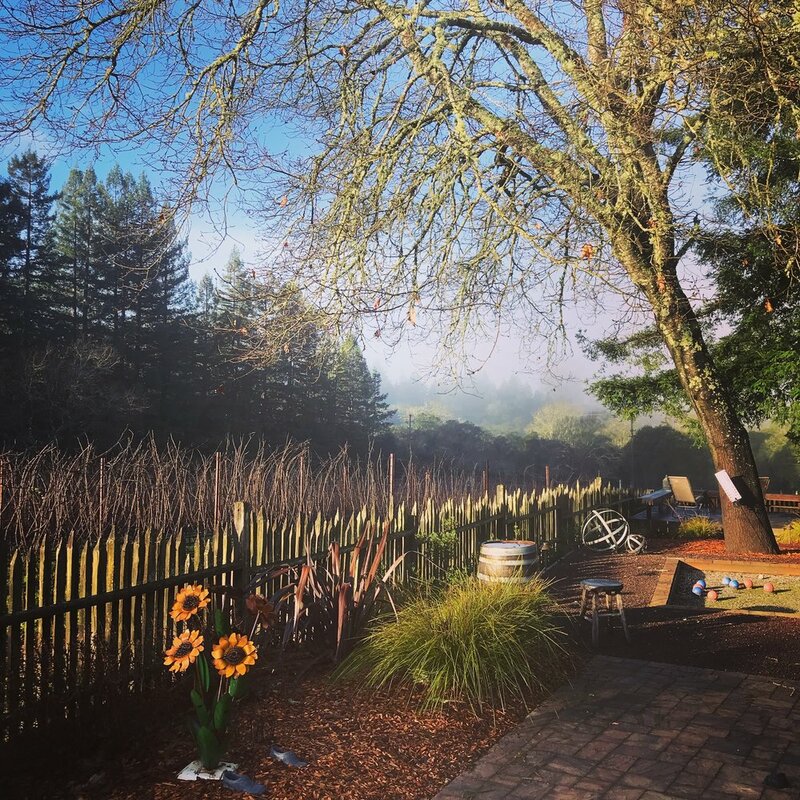 They asked me to set up a website and social media for their newly christened vineyard, Gantz Family Vineyards, and by some weird happenstance, I realized that I liked doing more than drinking wine. I liked learning about wine growing and winemaking. I liked tracking the evolution of our little vineyard. I liked being a minuscule part of this story about fruit being grown from soil and sold to one of the most prominent Pinot Noir winemakers in the United States. I liked helping my stepdad in our small, personal winery. And honestly, who’s going to be the butthead that resists going here for family vacations? My parents named the blocks after the grandkids. So it was with true good fortune that I was there in 2015 when the idea of The Billionaire’s Prince—What if the billionaire was a woman?—came to me. As I searched for a profession for my struggling prince, I looked up from my phone and saw the sunlit vineyards. Suddenly, my prince was a world-renown viticulturist (vine scientist) with a kingdom of struggling vineyards. Suddenly, I had a self-made billionaire businesswoman and a prince with his hands in the dirt. It was simple and complex and delightful and a way to honor this crazy thing my parents had created. Last week, I had the supreme luck to announce the sale of The Billionaire’s Prince to Carina Press while visiting my parents at Gantz Family Vineyards. I was taking a UC Davis class for growers with my stepdad, being taught by the same academics who would have been friends with my prince. It was all a little surreal and dreamlike. Want to be notified when The Billionaire’s Prince is available?